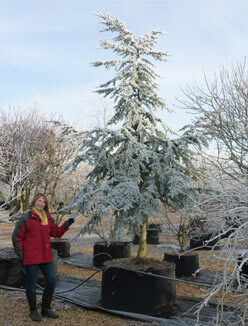 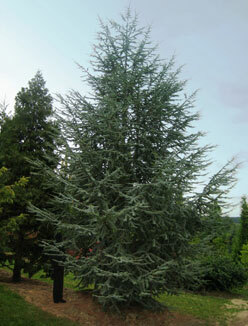 Cedrus atlantica are native to the Atlas mountains of Algeria and Morocco. 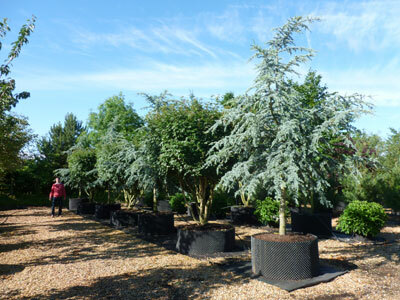 The ‘Glauca Group’ are one of the most striking in appearance of all the blue conifers. 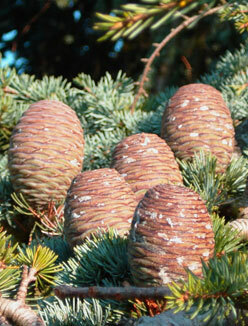 A large evergreen, which is conical as a young plant, later broadens with age into a spreading, flat topped tree. 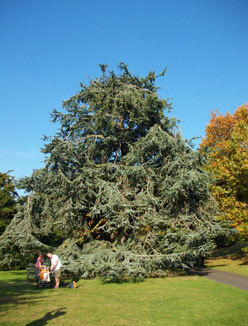 Ideally it needs to be grown in a large open area where it can properly develop its magnificent form and there is space for it to be admired. 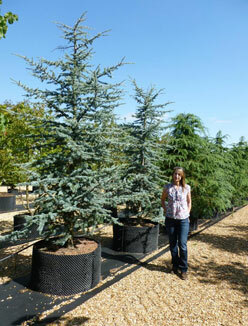 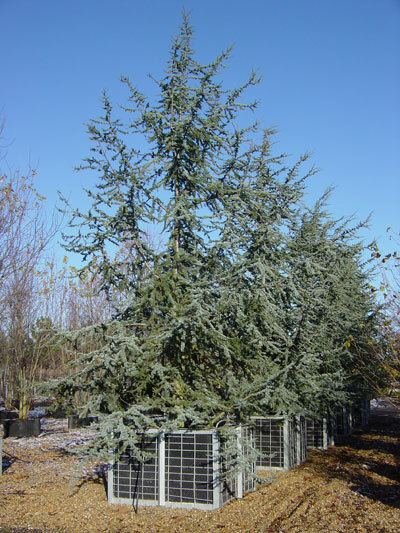 Identified by its short, silvery-blue needles which spiral around the stems and the barrel shaped cones it produces, Cedrus atlantica Glauca is a robust plant capable of growing in a range of soil types as long as wet soils are avoided. 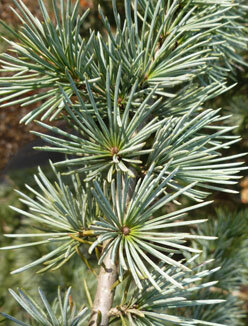 Foliage: Evergreen with short, silvery-blue needles.